About: Dr. Kim teaches advertising campaigns, advertising management, global advertising, and advertising research. Research foci are advertising engagement and brand communication. 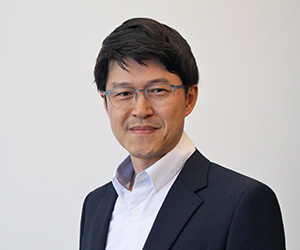 Dr. Kim’s research focuses on the advertising theory and practice. His current research interests are advertising engagement, advertising integration effects, and consumer emotion. He has published his research in the Journal of Advertising, Journal of Advertising Research, International Journal of Advertising, Psychology & Marketing, Journalism and Mass Communication Quarterly among others. In addition, Dr. Kim has presented his research at numerous academic conferences. His primary teaching interests are advertising management, advertising campaigns, global advertising, advertising research and quantitative research methods. Dr. Kim is a frequent speaker for several global companies in South Korea on various topics related to marketing and advertising. Prior to joining the Grady College, Dr. Kim taught at the Iowa State University. Dr. Kim has received top paper awards at the American Academy of Advertising (2006) and Association for Education in Journalism and Mass Communication (2001). Many student teams taught by Dr. Kim in his Advertising Campaigns course have won numerous national awards and prizes from Collegiate ECHO (sponsored by Direct Marketing Education Foundation, Direct Marketing Association) and InterAd (International Advertising Association) advertising competition.